If you have an interest in Strawberry Hill House and the work that we do then volunteering can be a fun and rewarding way to get involved. We have a team of 200 indispensable volunteers and a range of opportunities available to suit your schedule and area of interest.We welcome enquiries from all interested parties, regardless of age, background and experience. If you enjoy helping others and ensuring people have a fantastic time on a day out this could be the role for you. Front of House volunteers are key in giving our visitors a warm welcome, checking tickets and selling souvenirs. Our minimum commitment is just 3 hours a fortnight and we can accommodate flexible working. 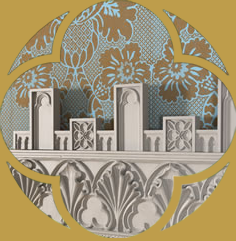 Learn more about Strawberry Hill House and share your passion for the House with visitors from all walks of life. Assist the Learning Team in the planning and running of educational activities. 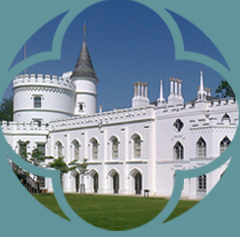 If you have administration skills and a desire to help behind the scenes at Strawberry Hill House, positions are available to give support to staff across all departments in the office. Assist with restoring the gardens to their original picturesque design and maintaining the beautiful grounds for all to enjoy. Help with the preservation and smooth running of the House. Practical, hands-on people with conservation experience are an important part of our volunteering community. Strawberry Hill House is internationally famous as Britain’s finest example of Georgian Gothic Revival architecture. Within easy reach of central London, Strawberry Hill House is a stunning space for hosting a variety of events.